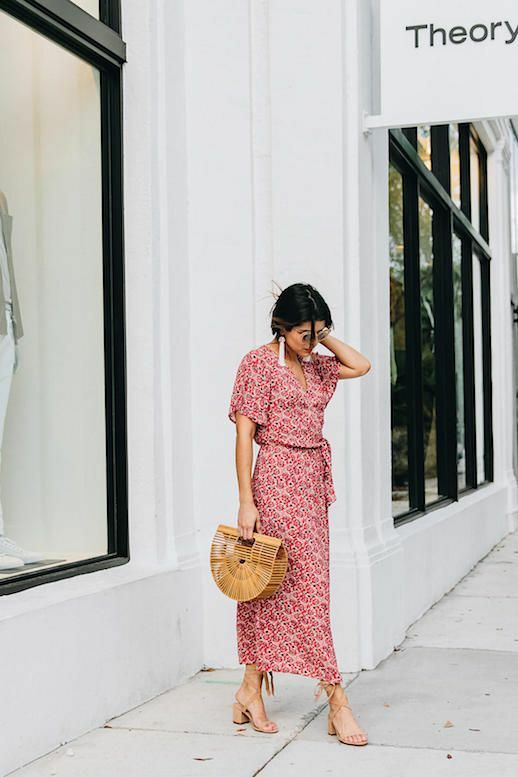 During the summer and on vacation, having an outfit that can take you from the sandy shores to a relaxing, evening dinner is extremely important. 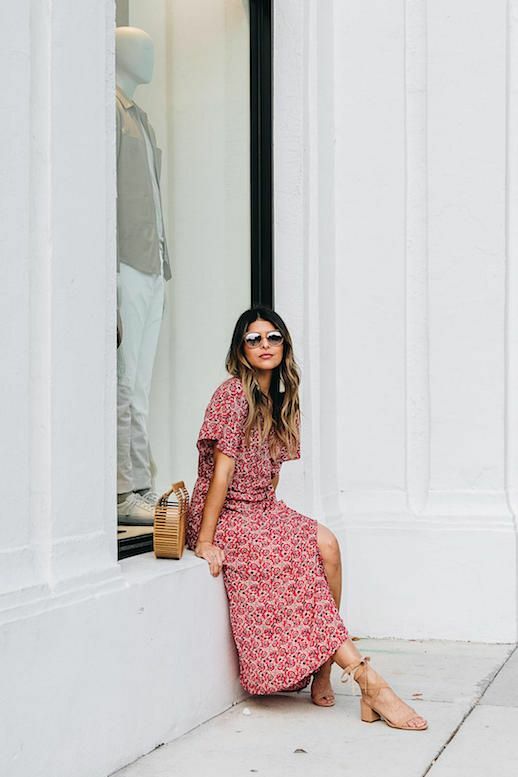 This blogger aced that with a gorgeous ankle-slimming red dress and strappy suede sandals. She accentuated the look with white tassel earrings and the very popular wooden tote.